Looking for Caribbean crystal clear blue ocean, white sand beach and calm, peaceful vibes? Mexico, Mahahual is the answer! Relaxing sun getaway, diving and snorkeling at the reef and atolls, good hotels and food, Maya culture and very charming people. Whenever you have a couple of days or weeks it would be your holiday for sure. The mangrove woods are protected area therefor Mahahual will never be like Cancun or Playa del Carmen with their big all-inclusive resorts. 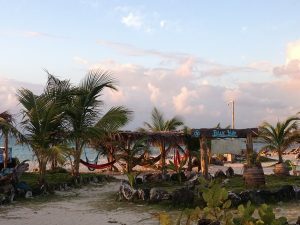 Mahahual is the little daughter, the friendly fishermen village, with the super chill vibes. It has natural guesthouses and luxury hotels, local restaurants and delicious food. Bars, live music and beautiful souvenir shops. The best of all though is the stunning reef just in front of you and the spectacular atolls further in the ocean. 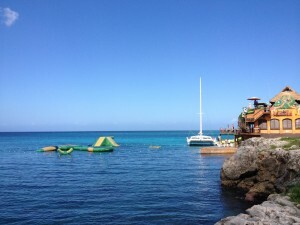 Mahahual is for diving, snorkeling and other nature watersports activities. 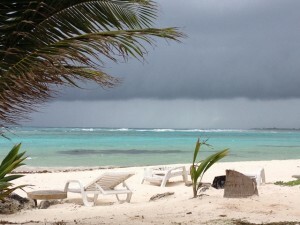 Mexican Maya culture and history can be visit with ease from Mahahual, Quintana Roo, Mexico. This is the introduction of the travel guide Costa Maya; The reef of Mahahual, Mexico. 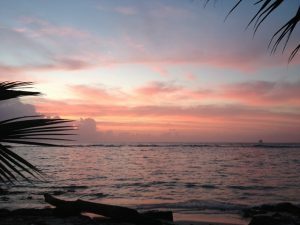 Do you want to know all about Mahahual? Buy the online travel guide here. Imagine a Caribbean Island with blue ocean water, white sand beaches, waterfalls all over and green lush rainforest in the mountains. Jamaica offers a wide variety of nature, culture, lively cities and authentic fishing villages, with a high relaxation level. Jamaica the land of wood and water, party and relaxation: There is so much to discover and explore, you will need a full month at least. 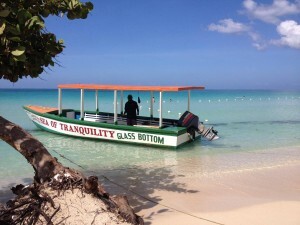 Go ahead and read the 5 reasons why you should visit beautiful Jamaica. where plenty people can learn from. No rush, no stress but an easy going vibe with a lot of music, singing and dancing. 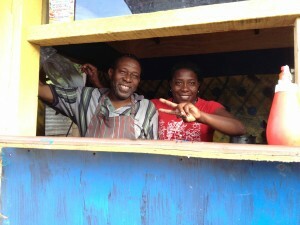 In addition, Jamaicans are very helpful, spontaneous and friendly. Their positive attitude makes you feel comfortable and happy. as in many countries all over the world. As a tourist it is not easy to get involved in this which makes it not dangerous for you. 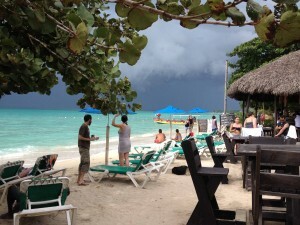 Some all-inclusive resorts like to worn you not to go out on your own, or with locals, as it could be very dangerous. But, there might be a profit in it for themselves. Let no-one scares you. Trust your own intuition, use common sense and you will be save to travel around, explore waterfalls, villages and beaches. with a (personal) tour guide. In this way you also support locals so they can build their own independent life. Jamaica is a paradise for beach lovers and is also very attractive for adventurers who wants to discover the real Jamaica. Don’t stay at your resort chilling on the beach, seeing one or two hotspots. 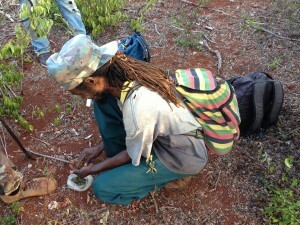 blue holes and caves or Rastafarian communities with the Nyabinghi drum beat. 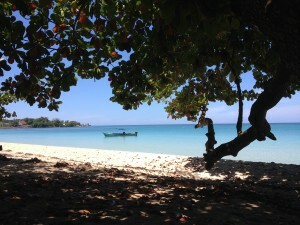 Hunt for hidden gems; Jamaica has a lot beautiful places to offer! 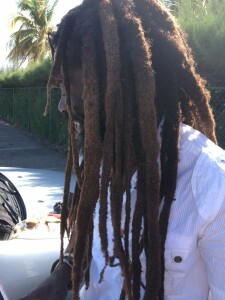 Easy going reggae tunes will make you jump out of your chair, you’ll dance and sing as a real Jamaican soon. When your eyes catches dancehall moves, you don’t need class at all; shake your body and let yourself go. to the heartbeat of the drum. Feel peace and harmony as Jamaica is the place of one love and unity. laid back bays with a specific bohemian character. 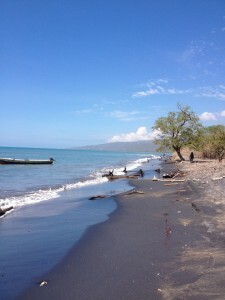 And Jamaica has those typical local beaches; lively or calmly, away from the crowds. offline use and you can add your own experiences too. For sale in the app store. Look out: You wanna come back over and over again! Convinced of these 5 reasons? 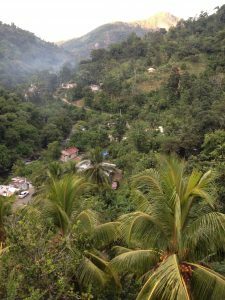 Once you’ve tasted all Jamaica has to offer: The culture of the Rastafarians, nature with its waterfalls, coves, caves and fruit trees, the chill vibes, music and history, one thing is going to bother you: with tears in your eyes and a heart full of love you will go to the airport. Yes, you did fall in love with Jamaica and her charm. But don’t worry, you’ll be back soon! Go out with locals! 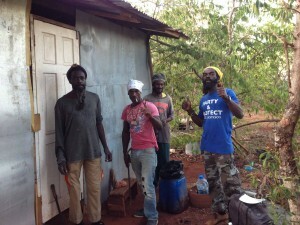 You will explore the real Jamaica in the natural Rasta way when you go on an adventure with local tour guides. 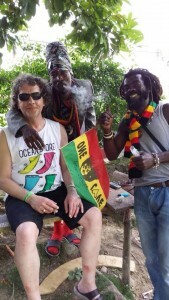 One of the trustworthy tour guide agencies is Rappa Rasta Tours. Look for all kind of tours at Face Book or website: www.rapparastatours.com. 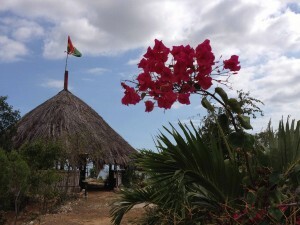 Whenever you like tips of special places to stay around the island like homestay, guesthouse or hotel, at Inspiring Vibes you are at the right place. Coolest place to chill and relax: Cool Shades, in the hills of the Blue Mountains, next to river, tini (shop) and close to Buff Bay; surrounded by nature. 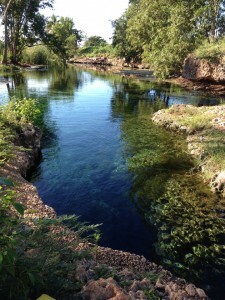 You’ll love this awesome hidden gem! 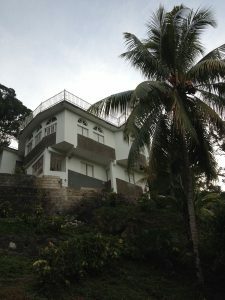 Rent room, apartment or even the whole house in this guesthouse on the hill. The roof top is for endless views and wander away. Amazing especially at night watching sparkling stars. 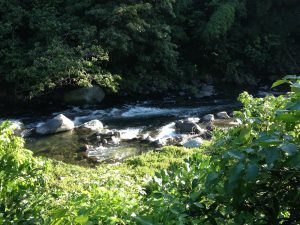 It’s a place where birds sing, wind blows and the sound of the river calms you down. The owner works on a coffee plantation closely. They will be happy to show you around. It is called ‘Devon Coffee Farm’ from the Blue Mountain area. You have to buy some delicious coffee at the shop on the farm when you’re a real coffee lover. Die hards, nature lovers and other brave ones dare to camp at the coffee plantation!